Today is officially the first day of summer. I celebrated by switching things up in my life a little bit. Lately I've been feeling very rushed in my days and it stresses me out to try to cross everything off of my to-do list. I love lists and having a schedule because I really do think that it helps me be more productive throughout my days. But over time I've gradually began to fill up my schedule more and more to the point that the bad outweighs the good. This morning I set my alarm for 5 a.m. like I do every Monday morning. Out of bed, straight to the gym, home again to get ready, and out the door for work. That's always how it goes and it's very rare that I miss a day. But today I woke up and I craved more space in my life. Starting today, of course. Impulsively as usual. What better time to start than the first day of my favorite season, right? I turned off my alarm, woke up naturally an hour later, and had time for a short yoga practice before work. On my drive to work this morning I realized that I want to set some goals for this summer season. Big goals that I can work on over time, but not too big that they can't be achieved. I've already had some in the back of my mind that I tucked away for some future moment when I'd want to grab them, brush the dust off of them, and make things happen. Today happened to be that day. I wanted to share them here just to put them out into the world and as a way to inspire you to grab a notebook and write down some goals for yourself this summer (or over the next few months if you're on the other side of the world!). Since I recently bought my new bike and I'm absolutely in love with riding it I want to make it a goal to do a 40 mile ride by the end of summer. I know that it's totally possible because I have really found a passion with it within the past year and know that as long as I remain consistent with my rides that I will be able to make this happen! I made it a goal this year to read one book per month but for the summer months I want to amp it up to two. This will be challenging for me but I love to read and I want to make it more of a priority in my life. I have never remained consistent with lifting for more than about 6 months. 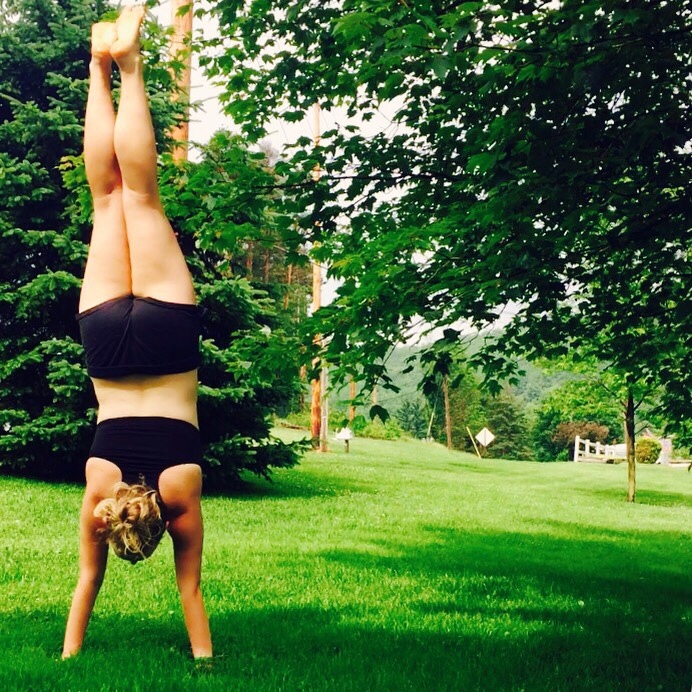 I always get out of it during the summer because I like to do my workouts outside more. This time around I want to stick with it and see what type of things I can achieve. I have been lifting 4-5 days per week and I'm really considering cutting it down to three to give myself time to get more yoga in my life. But we'll see! Either way I know that I want to be consistent with it, whether it's 3 days or 5 days doesn't matter to me. Just doing it is what I want to stick to. What a struggle for me and I hate it. I love writing but it's one of those things for me like reading. Something I enjoy so much but also something that I put on the back burner for some reason. I am making it a priority to write daily. Either on here, in a notebook, in a word document, or wherever my heart desires at the time I am making this happen. Back before this little blog existed I was very much in love with baking. I used to decorate baked goods and sell them to people who saw my stuff on Facebook or heard about me via word of mouth. Decorating cakes, cookies, etc. is so fun to me. I still love it to this day. After I went gluten free and then vegan I drifted away from baking. Hello raw vegan cheesecakes! I never really realized until recently how much I miss the fun (and therapeutic aspect) of icing a batch of cupcakes or rolling out a ton of sugar cookies. Summer's probably not the best time to bring back my baking habit because the house will be steamy with the oven at work, but I still want to get back into it and I want to start now. So that's exactly what I'm going to do! These are the main goals that I want to work on over the next few months. I have a lot of plans and ideas of things that I want to see and do as well. These are more personal growth goals which I think are so important and exciting to come up with. What are some of the things that you want to work on this summer? I'd love to hear all about them! Happy July everyone!! How's life treating you all? It's that time of the month again to do my favorite thing, set goals! As you might have noticed, I didn't set any goals for June. I love goal setting but June was a crazy busy month and I decided to take a break for the goals so that I didn't stress myself out over it. I took the month off and now I'm back and ready to go for July! Summer is in full swing now but it's not feeling like it here. It rains almost everyday and it's quite chilly. But I can drink my smoothies and not freeze so I'm not complaining!! Much. I'm still getting outside as much as possible too. Nature inspires me and is where I've came up with the ideas for most of my July goals. It's so so important to get out each day and surround yourself with things that inspire you to improve your life and make you happy! Each month that I do this I like to set about 5 or so simple goals that I know I can achieve within the month. That way I can make small improvements in my life that will add up to big changes over time! Take less iPhone photos I have fallen into the habit of only taking photos with my phone. I take a lot of pictures each day and love doing so. But I have began to completely neglect my camera and it makes me sad! It's just easier for me to set up my iPhone and take photos because I do take all photos that I post. I love my camera and the quality of photos that it takes though. I need to start carrying it around with me more often like I used to. Do yoga every day I have been trying to do this already! Before my injuries I was doing this without a problem. But afterwards I have been having a hard time getting back into things. I think it's a bit of paranoia that I will injure myself again. But I really want to get back into a daily practice so I'm going to make that happen! Read two books I feel like I make this a goal all the time but until I am consistently reading again then it needs to happen. Summer is my time of reading. I can sit outside for hours just reading the day away. But for some reason I haven't been doing that this year. I just started a new book the other night and I am determined to read at least two books this month. I don't think that's a lot to ask of myself! Strength Train Ah man I don't know what happened here! I was lifting for the first 4 months of the year and then stopped completely in May to start running more. I completely stopped strength training all together and now I feel like a lil weakling. I want muscles and tone back and that's going to happen! I spent some of this morning looking up new workouts and formulating an idea of how to keep running and add in an adequate amount of strength training exercises as well. I got my first strength/cardio day in today and can't wait to continue it throughout the month! Try 1 new vegan friendly restaurant I always end up going to the same (amazing) restaurants whenever I go to Pittsburgh. I am totally into habits and I am very comfortable with my regular spots. Routine is my thing. But I think that it's healthy and fun to try new things so I want to try one new vegan friendly place in Pittsburgh this month. I have a few places in mind and I'm super excited to check out some new and hopefully amazing food! Make sure to follow me on Instagram to see what place I pick! And there we have it! July goals are set and ready to be achieved. What are your goals for this month? I'd love to hear and support each other along the way! Happy May my Friends!! I hope that your days are becoming filled with more sunshine than ever. I am so excited for this coming month! I wait all year for warm weather and sunshine. I feel like I'm so much more productive during the summer months than I am any other time of the year. I got my first (accidental) sunburn this past month and it was a pretty terrible one. I always use sunscreen if I'm going to be outside for long periods of time, but I was so excited about the warm day and sunscreen didn't even cross my mind. I couldn't help but smile because of the sunburn because that means that good days are ahead! Woo! It's that time of the month again to set some new goals. I'm excited. How is your goal setting going? Let me know! Before we get to it though, let's review my April goals! Work more on really putting myself out there I think I'm doing fairly well at this! I'm working on posting things on here and Instagram that I want to post and not worrying too much about it. Yay! Find and write down three good things from each day I've been on and off for this. I do write each day but not in this format like I wish that I did. Come on self!! Oil pull everyday I. Love. Doing. This. I do this everyday!! Love, love, love. Highly recommended and I'm so glad that I made this a habit this past month. Meditate consistently Oh boy... I don't even know if I did this more than a few days. So bad! Maybe I'll try again in May. Talk more about veganism Trying to do this!! I really am and I think that I'm achieving it. Woo hoo! I had a very challenging and tough April so I am really pleased with what I was able to achieve! I don't allow myself to get stressed out or feel guilty for not reaching some of my goals. Life happens. Being aware of your set goals and your aspirations is what matters the most! Plus, there's always next month! Train for a half marathon I'm running a half marathon next month! I just signed up today and I am so excited! I've always loved running but have never committed myself to signing up for a race longer than a 5k. Take a yoga class I'm so bad at doing this. I really want to be good at it, but my options are limited in my location. Whenever I'm in the position to take a class though I usually get nervous about going to a new studio. I'm very spoiled by taking so many Strala classes when I'm in NYC and there's nothing like that in my area. I want to try new things though and it's happening this month! Say yes more I'm very lazy when it comes to hanging out with friends for the most part. I always think about how I could work on creating recipes, writing posts, etc. in the time that we would be hanging out. That's not fair to them or to me! So I'm working on saying yes more. I started this already. I made plans twice with friends so far this week and I think that it's been great for me. I think it'll motivate me more and help me to get more done! Get rid of 50 materialistic items I started this with 100 items. But then I figured that I need to start slow here or I'll get overwhelmed. Plus if I do 50 things then I can always go for more as well! I've been wanting to own less materialistic things. I feel like the more I get rid of, the more that I get out of life and appreciate. I want to redo my wardrobe almost completely and this will be a good step towards doing so. Floss daily Okay maybe this is gross to some of you and maybe this is normal to others. But I don't floss everyday. I'm lucky to floss once a week. Whoops. Since last month I started oil pulling I figured that this month is a great time to get on the flossing train too! Making it happen. My teeth will thank me, I already know. Let's do this! It's amazing how much you can accomplish over a months worth of time by taking things day by day and checking off each thing as time goes by. I'm excited for May and all of the things that I want to achieve. What about you?! Let me know! If you've been following me for a while now then you know that I have been trying to decide what direction I want to take this website. I really can do anything with it at this point and I have thought a lot about it. I think that I finally know what I want. I have a vision and I'm going to make it happen. I'm going to create the site that I want to share with all of you. What do I have in mind? Well I love sharing food recipes with you. It truly is my favorite thing and I don't want to stop doing that at all. But I want more. I don't want to settle for just having this be a recipe blog. (There is obviously nothing wrong with blogs that focus strictly on recipes!) I want more and I know that I am capable of sharing more content with the world that will be beneficial to at least someone out there! I spend a lot of time reading other blogs and whatnot. I love how connected you can become through the internet. It's amazing and each day I am so grateful to be able to connect with all of you through emails, instagram, facebook, etc. That really is my main goal, to connect with all of you. Everyone who interacts with me via some form of social media inspires me. I mean that. I want us all to inspire each other, to create amazing things. 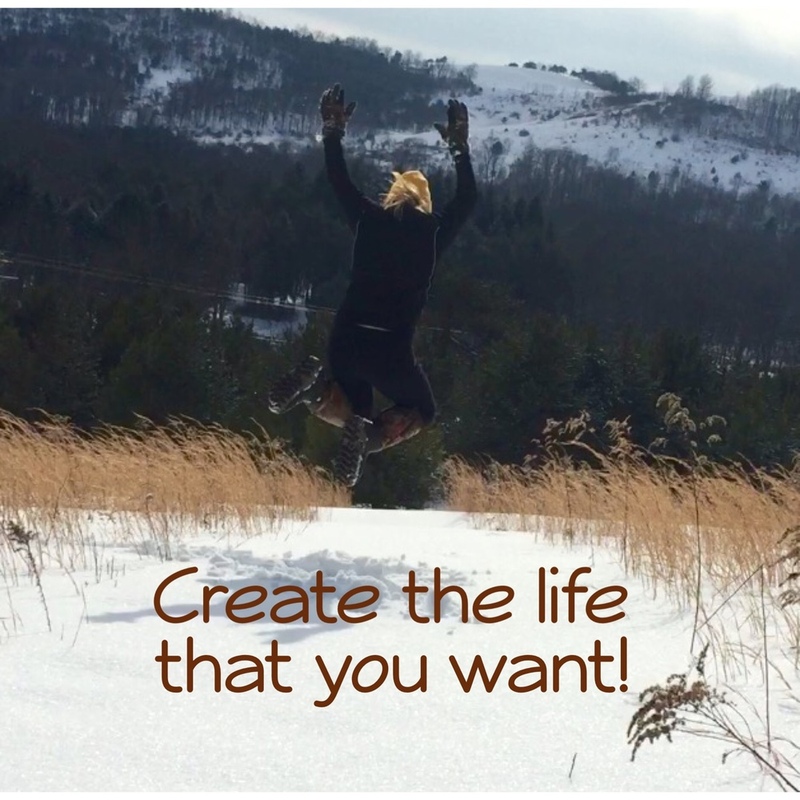 Let's all create the lives that we want. Sound good?! How are we going to do that? 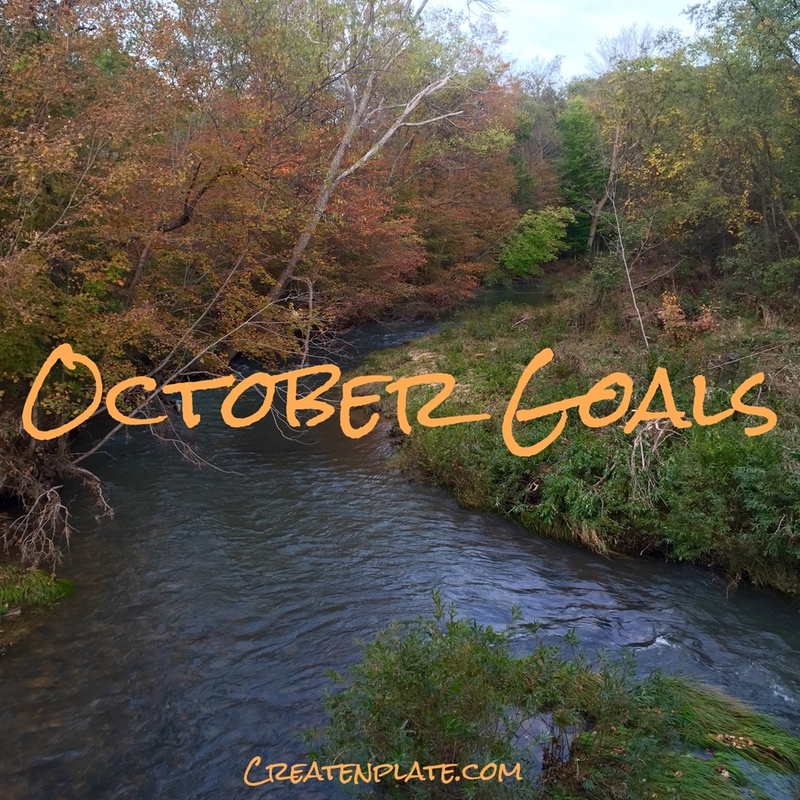 Well I'm going to start making goals each month that I'll share with you right here! You can either comment below with your goals, send 'em to me via email, or keep them somewhere for yourself. Ideally I'd like to do this the first or second day of the month which will happen in the future. But since I just came up with this idea a few days ago I'm doing it now. Better late than never, right?! Each month these goals will become a very important piece of my life. They might be small goals and seem insignificant, but small steps in the right direction add up to great progression over time! Get outside at least 3 times each week for at least 30 minutes - If it was July, I would exceed this goal 100 times over. But it's March and the past 5 months haven't been too ideal for outside adventures. 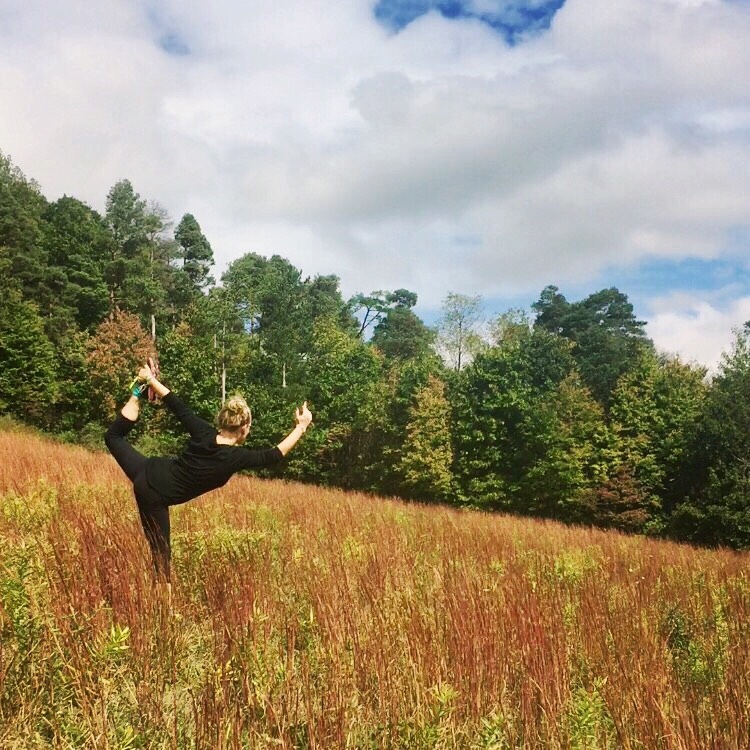 I love being outdoors and receive so much energy from nature. Winter is tough because I am unable to go outside as much as I'd prefer. So now that it's somewhat nice out, I want to spend 30 minutes a day at least 3 times a week outside. No excuses, no exceptions. Post on here at least 3 times a week - I'm not sure if I want to set a schedule so that I post on here on specific days, or if I want to just post 3 times throughout the week whenever I get the chance. But regardless, I want to share more! Working my "real job" makes it tough for me to create and share 3 recipes each week. So I'm really excited to post three times per week about other things as well as recipes! Organize my computer and hard drive - This will be a tough one for me. My computer is chaotically organized and I definitely have a lot that I can do to make things go a lot smoother. But this isn't something that I particularly enjoy doing, so it'll be tough for me to sit down and work through. But it'll happen! Read 2 books - It's very hard for me to start reading a new book after I finish one. But I really enjoy reading, I just don't do it as much as I'd like. For some reason I always make excuses or get distracted. I have a little over 2 weeks to read two books and I really want to make it happen. Reading is a great way for me to relax and also inspires me in so many ways once I get into a book. Cook a new recipe each week - You're probably wondering why this is a goal of mine. Well I hate cooking. Yes, I really don't enjoy it. I'll put a ton of effort and time into making dessert recipes, I love that! But cooking meals isn't my strong point. This month I want to find a recipe from another blogger every week and try it out. Hopefully by doing this once a week then I'll eventually work my way up to a couple of times per week! I do believe that cooking is awesome and very rewarding so maybe doing this will help me get into it a bit more. Anyone have any recipe recommendations?! That's it! I didn't want to create too many goals to stress me out. But I wanted to create enough that would keep me busy each day. If you set a few goals like this each month, by the end of the year you'd have the ability to change your lifestyle completely. So many opportunities for good changes! Have you ever created monthly goals like this? Are you interested in starting? Let me know!